It’s coming to the end of Summer and I have one product to thank for keeping my makeup looking fresh in the hot weather. I have dry skin so I avoid using powder to set my makeup. So normally by the end of the day I have no more makeup left on my face. 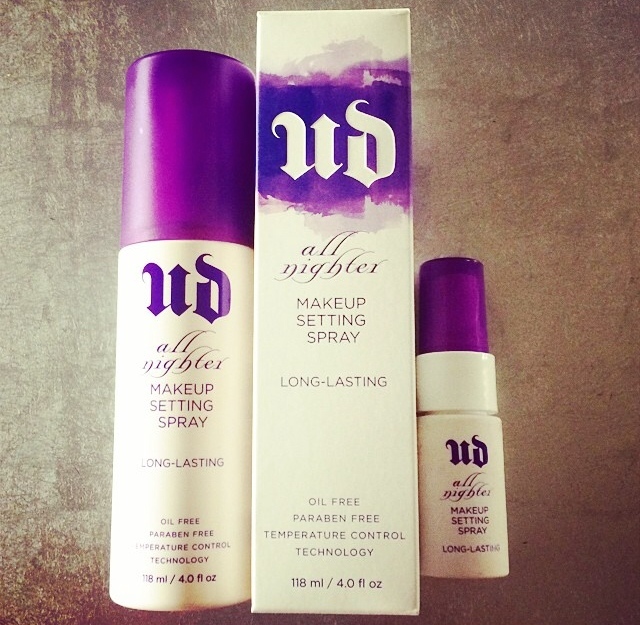 I used to be sceptical about these makeup setting sprays, I think of them as hairspray for your face. Funnily enough they basically are but without that chemical smell and mist that hairsprays have. After I have finished doing my makeup I evenly spray the All Nighter Setting Spray all over my face. At first it looks quite wet but it then dries and leaves a nice dewey and healthy finish to your skin. Most importantly it keeps my makeup in place ALL DAY. Even on hot sweaty days I return home to my makeup looking the same as it did when I left. I was genuinely amazed the first time I used this and it has quickly taken its place in my every day makeup routine. Thank you Urban Decay for helping me to look half decent for the WHOLE day now! In the UK you can get a 118ml bottle in Debenhams for £20 and in the USA from Sephora for $30. No problem! Always happy to recommend great products. Definitely give this one a try. It works wonders at keeping my makeup in place all day!